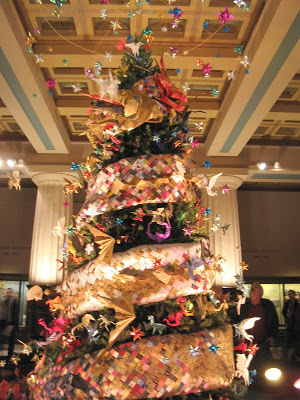 We went this weekend and saw the origami trees at the American Museum of Natural History, and of course all the stuffed dead animals. 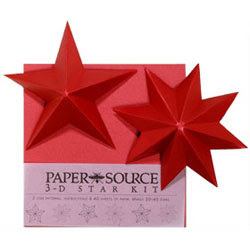 I picked up a few gift wrapped embellishments at Michael’s last week from the Martha Stewart line–3-D poinsettias stickers and little bells. Don’t you just love receiving a present that is so beautifully wrapped? Here’s a few from Paper Source that I wished I ordered. Okay, I’m no decorating pro, but I get excited when I do something different. 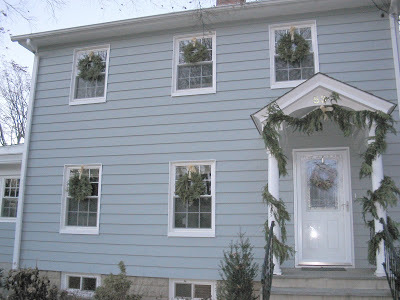 So this year I put up window wreaths, and I like how they look both inside and out. I wanted to be different and used gold ribbon instead of red. You can’t see the bows, but there are bows. Maybe next year we’ll be like everyone else and use red ribbon to add the color. We’ll need more bow action too. For lights, we did the single candle in each window and white lights on a few bushes. Christmas decorating is finally done. 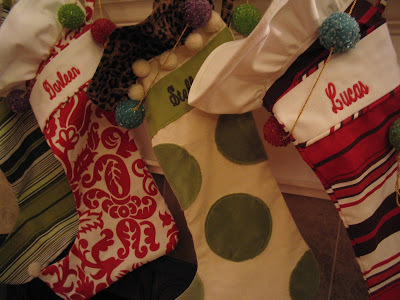 …by the chimney with care. Finally. 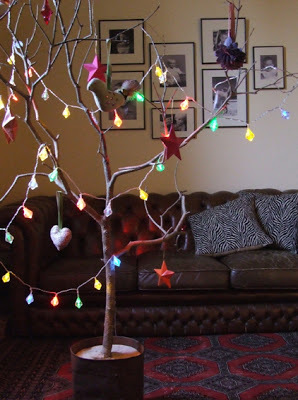 I’ve been enjoying reading the Christmas entries on Absolutely Beautiful Things. It’s fun to see how other people decorate for Christmas. Good ideas for next year. 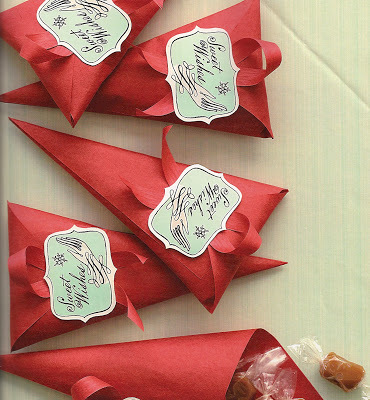 Here’s an idea to package your homemade treats if you are making caramels or hard candy. 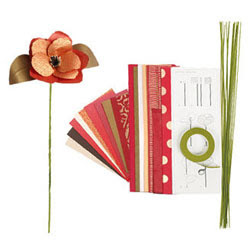 All you need is square cardstock paper and ribbon. Cute idea! Click here to get the instructions and label. Lux Paperie has some hip, whimisical holiday boxed cards that are letterpress. We went to a nativity exhibit that my church puts on for the community. 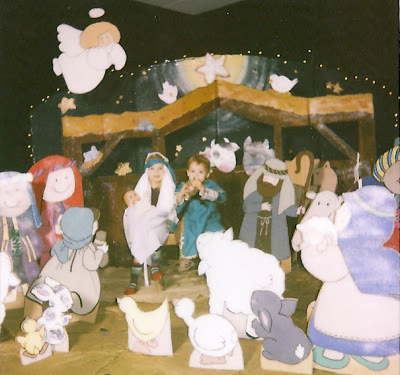 So lovely and beautiful of all the nativity scenes from around the world. There was a children’s area and a dress-up zone. Stella and Lucas had a lot of fun and is still talking about it.